Justice keeps “tweens” shopping with a collection of cool new Syndeca apps for all their favorite devices. 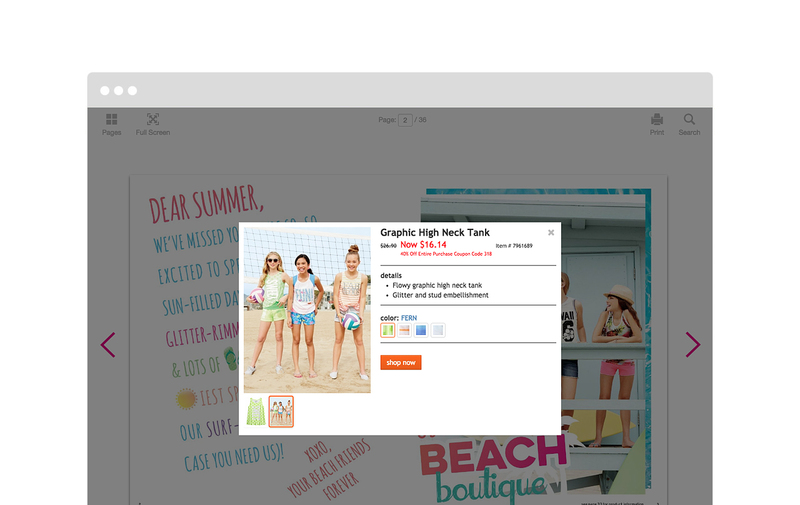 Tween Brands (part of the Ascena Retail Group) launched the omni-channel visual commerce apps as part of a new strategy to keep teens, tweens, and their moms engaged across channels. 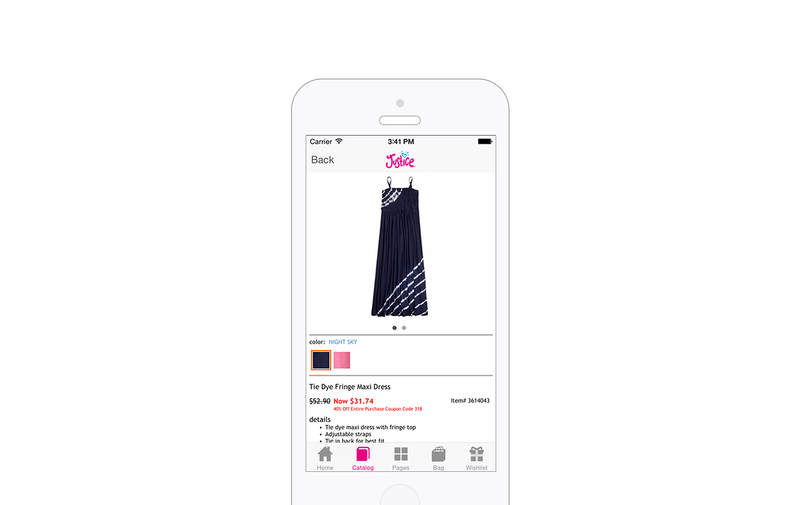 Syndeca provides Justice’s native catalog apps and responsive experiences for shopjustice.com. 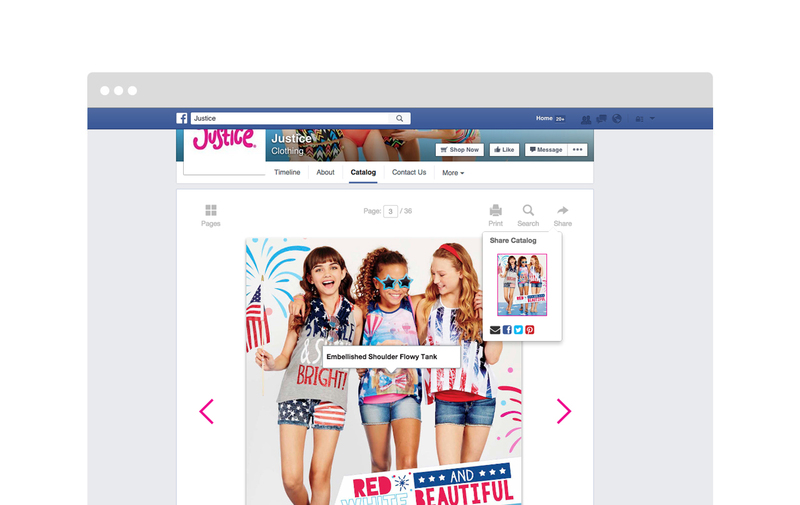 Justice’s new Facebook page giving buyers new and relevant ways to interact with the brand. Syndeca’s rich social features boost sharing, increasing opportunities to extend the Justice brand to end users and purchasers. Buyers and browsers can shop wherever they are, on their favorite device, deepening engagement and enhancing revenue.